This past weekend we celebrated our baby turning 5! 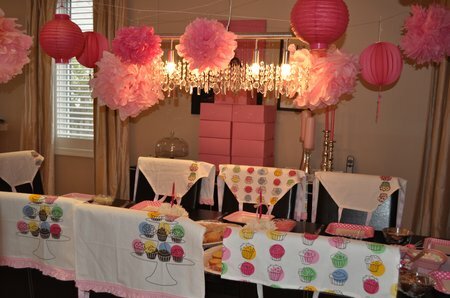 She loves all things sweet so we went with a cupcake and bakery theme for the party. 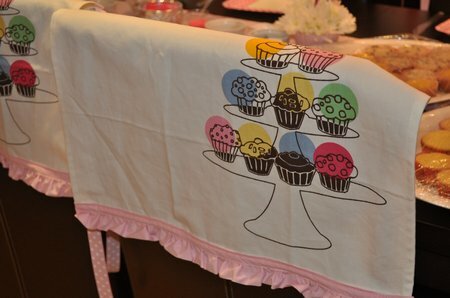 Weeks and weeks before the party I started hunting for cupcake fabric to make aprons for all our little guests. 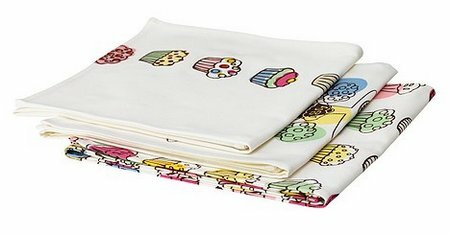 I stumbled upon some cupcake tea towels at IKEA. These were perfect! They weren’t expensive, and already had some of the sewing done for me. I am not a great seamstress by any means, but with my Grandma’s old sewing machine, and a few straight seams I managed to make ten sweet little aprons. I started out cutting off the top of the tea towels to make the aprons short enough for little ones, and create the apron shape. 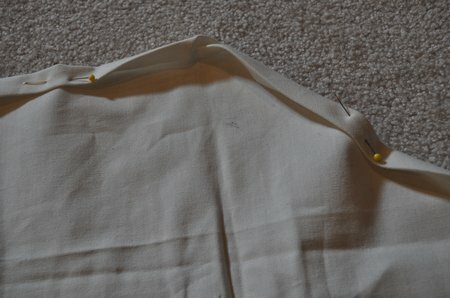 I ironed and sewed the seams. I just love how they turned out, and the kids seemed to really like them too. There we three different patterns to choose from. The aprons were also part of their party favour at the end of the party. 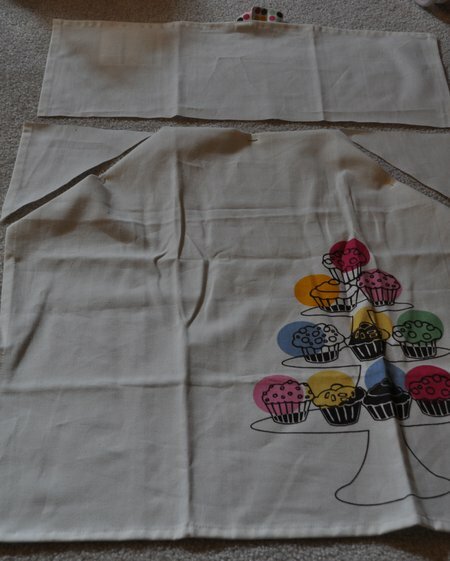 When the kids arrived the aprons were hung over the backs of the chairs, ready for the little bakers to decorate their cupcakes and cookies with. They were a labour of love, time consuming but pretty simple, and worth the effort in the end. Our two have all the chocolate frosting washed off now, and they’re ready for future baking adventures! 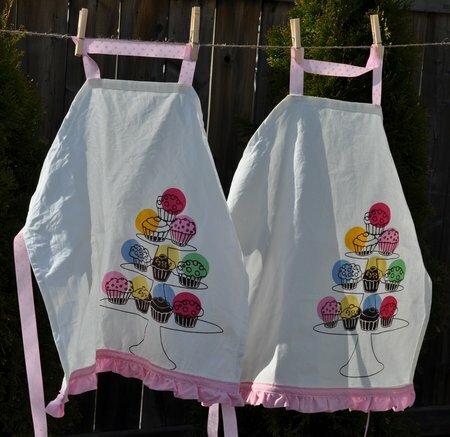 With aprons this cute, life really is a party! This post is linked up at Tatertots and Jello and Whipperberry. 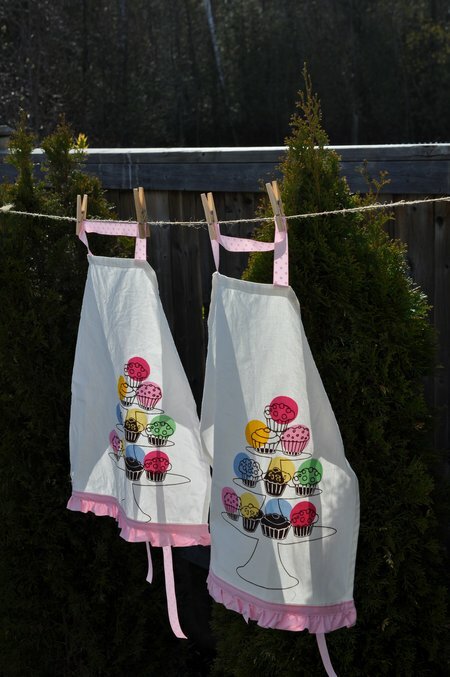 What pretty aprons! And the party looks like it was a sweet one! Found you through TT&J.